3 How do I Cook With the Brinkmann Gas Grill? How to Clean Inside a Propane Grill. The residue left over from cooking meals on a propane grill must be cleaned to ensure proper operation of the grill and to avoid any food cross-contamination. Use the following steps to get great results when cleaning inside a propane grill. 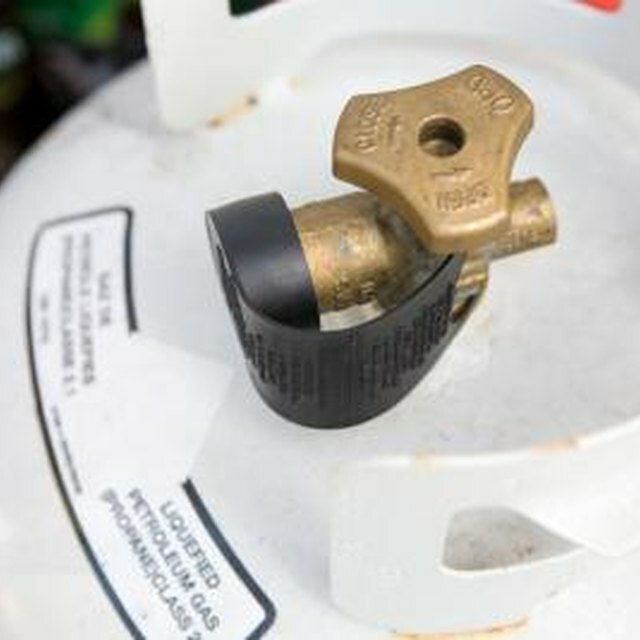 Turn the propane cylinder's regulator valve to the "Off" position. The valve will be at the connection of the propane cylinder and the gas hose leading to the grill burners. Lift the grill's lid or cover and inspect the cooking surfaces and inside lid. Note all areas of heavier accumulation of contaminants. Remove the propane grill's cooking grids completely from the unit. Spray the cooking surfaces with a mild oven cleaner and wipe away any debris. Follow the grill manufacturer's instructions on acceptable cleaning methods as well. Look at the hoses and gas connections that provide fuel to the propane grill. Wipe away any obstructions and ensure all hardware is in proper working order. Allow the propane grill to operate on "High" for at least 10 to 15 minutes after every cooking session to burn off any remaining material. Brush the inside areas of the grill with warm soapy water and a bristle brush or cloth. Wipe down the exterior of the propane grill with a damp cloth. Use a wire grill brush to remove any stubborn areas of burnt on materials. Do not use excessive force, as this may expose base metal that can lead to rusting. Use environmentally sound cleaning materials for the safety of the user and environment. Replace all cracked or damaged hoses. Wear eye protection and gloves. Failure to use caution when handling propane may result in serious injury.